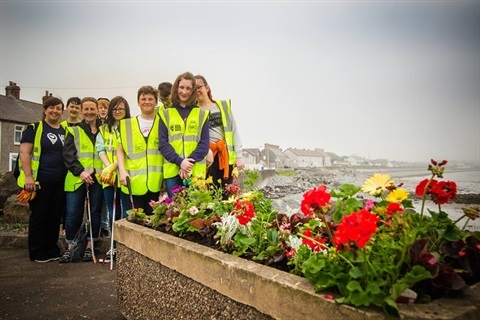 The third year of the Live Here Love Here Small Grants Scheme will help communities, schools and groups to take practical action to improve their local environment and support the growth of civic pride throughout Northern Ireland. The environmental charity, Keep Northern Ireland Beautiful will be working with the Department of Agriculture, Environment and Rural Affairs, Tourism Northern Ireland, local Councils, Northern Ireland Housing Executive, Choice Housing and Coca-Cola to launch the Live Here Love Here Small Grants Scheme. The Small Grants Scheme is designed to help groups improve the quality of their local environment by reducing littering and dog fouling; enhancing the environmental management of a local area; contributing to the development of civic pride within a community with a focus on environmental improvements or to enhance or attract tourism to their community through environmental improvements. Interested groups can visit www.liveherelovehere.org for more information and an application pack. The scheme forms part of the wider Live Here Love Here programme, which includes an innovative media campaign and exciting volunteering opportunities to encourage participation all year round. To learn more please visit www.liveherelovehere.org. This year we are pleased to announce that the Live Here Love Here partnership has grown to include Northern Ireland Housing Executive. They will be providing additional funding to groups who are active within areas managed by a Housing Executive/Association. Groups will need to complete a simple application form detailing how their project will improve their local environment or community through practical action. The deadline for applications is noon on Monday 28th November 2016. For more information on the live Here Love Here Small Grants Scheme please visit www.liveherelovehere.org or contact Keep Northern Ireland Beautiful on 028 9073 6920.